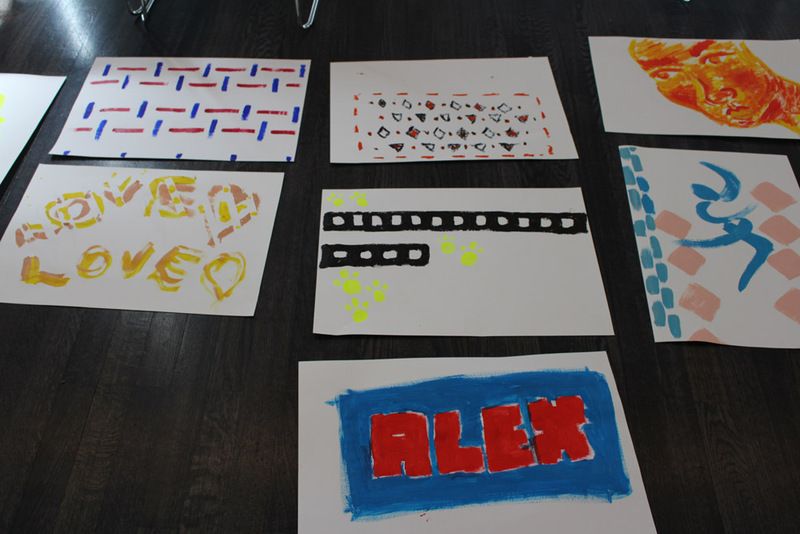 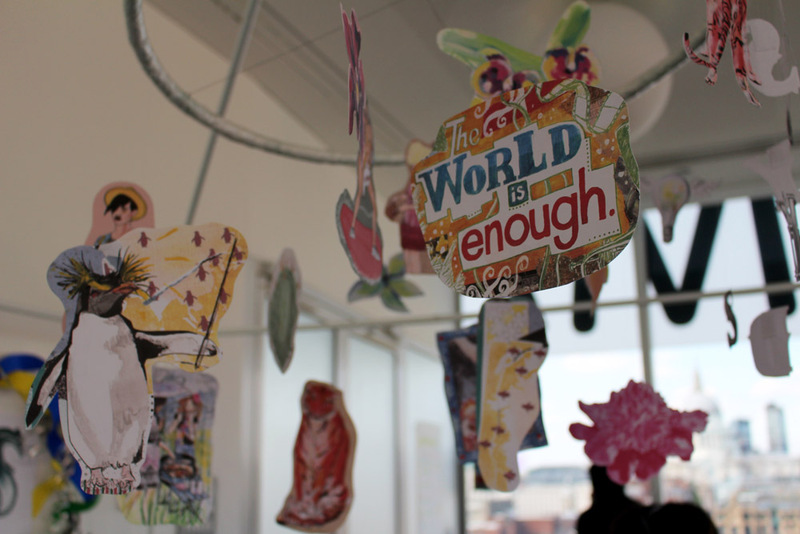 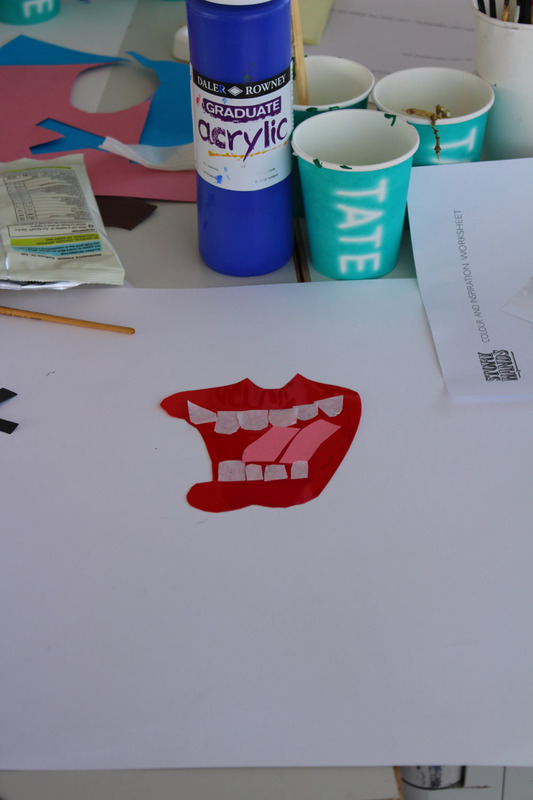 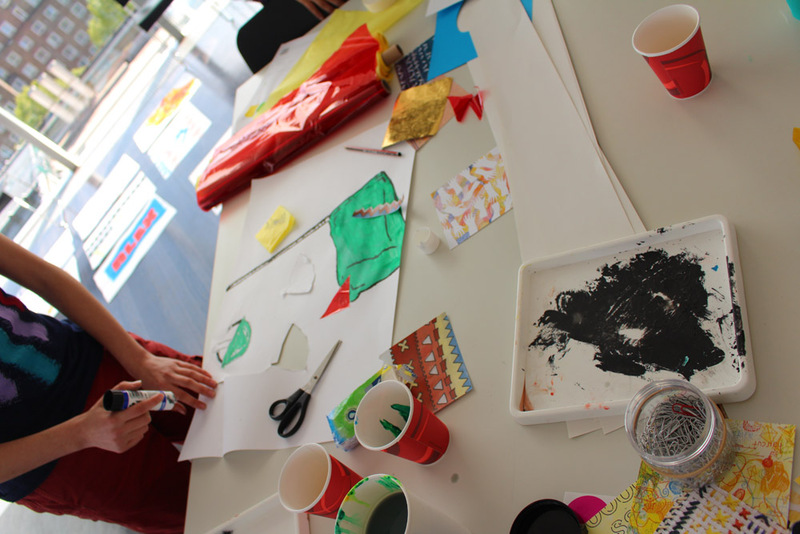 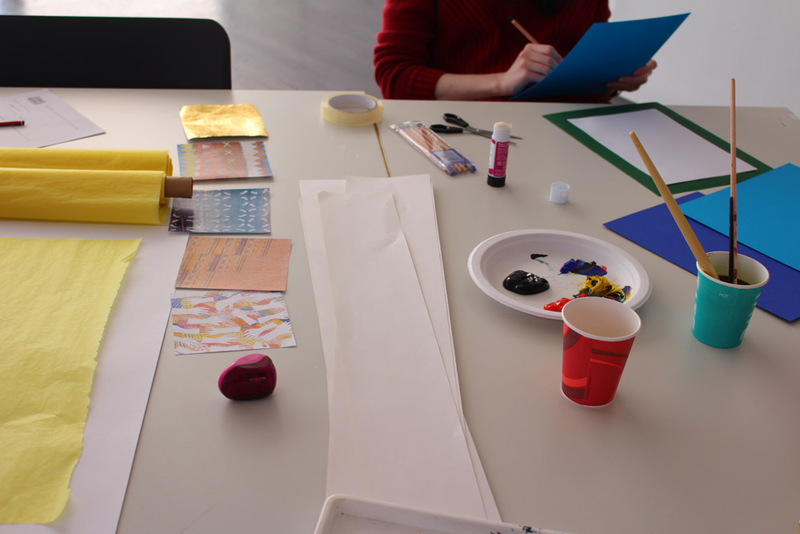 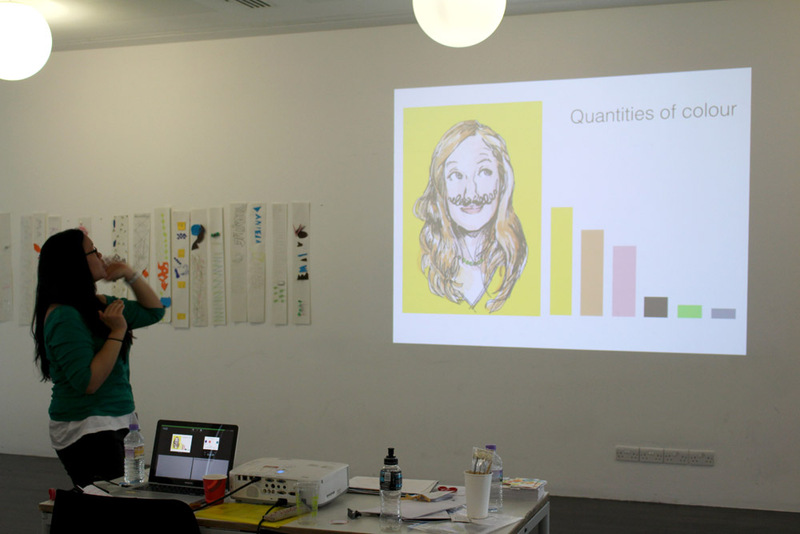 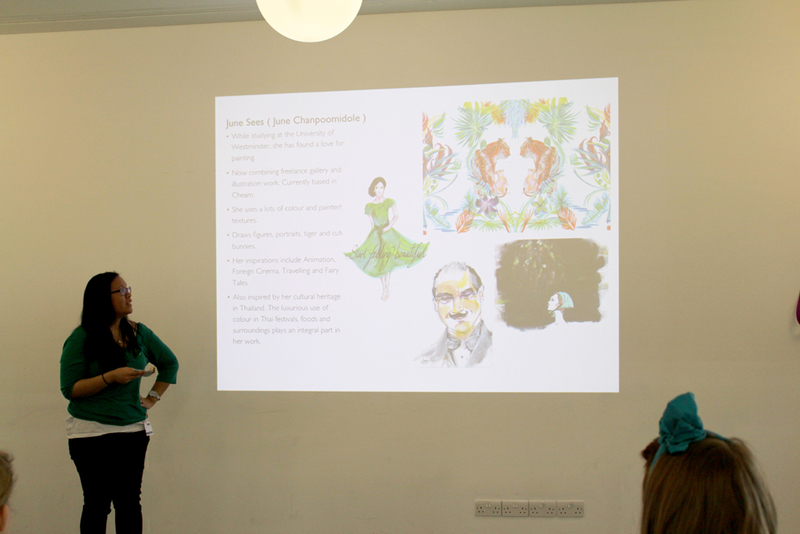 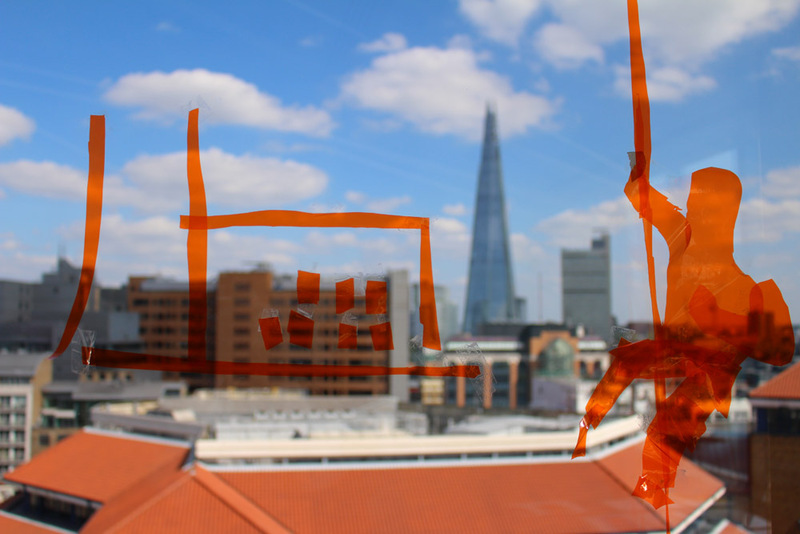 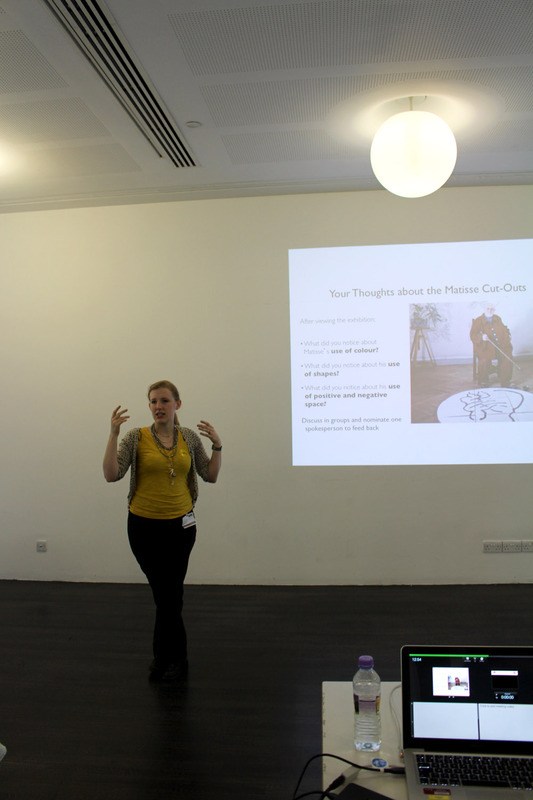 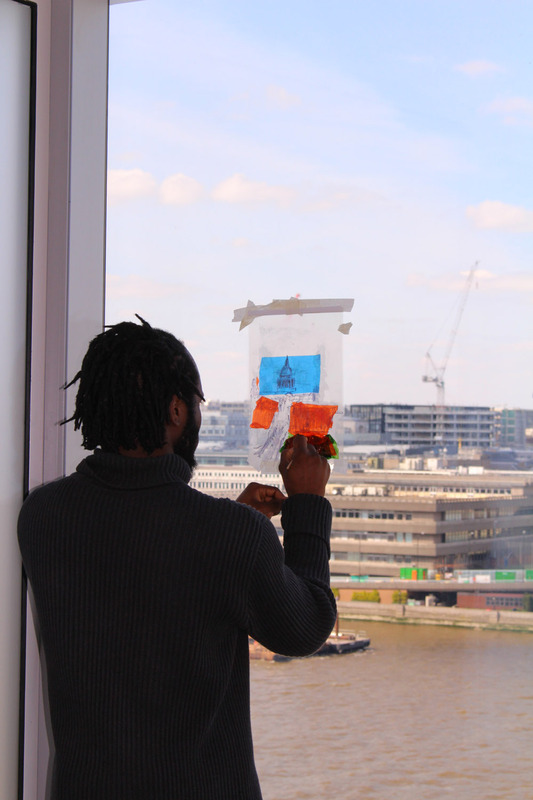 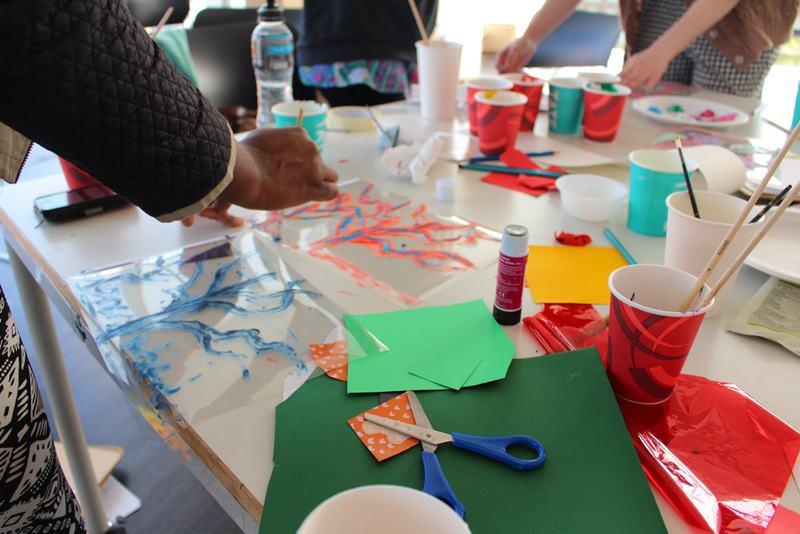 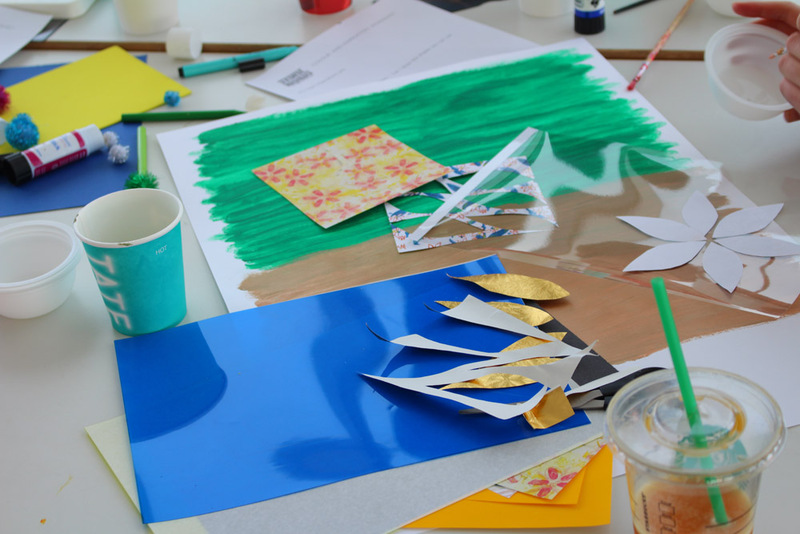 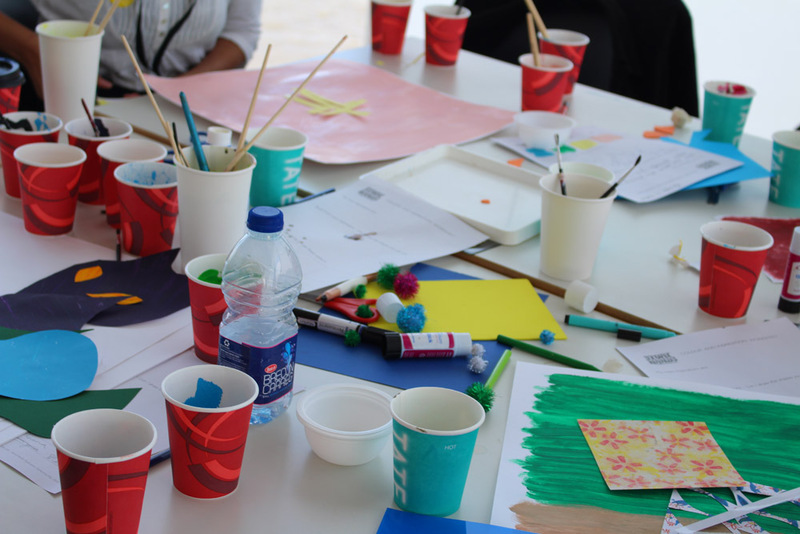 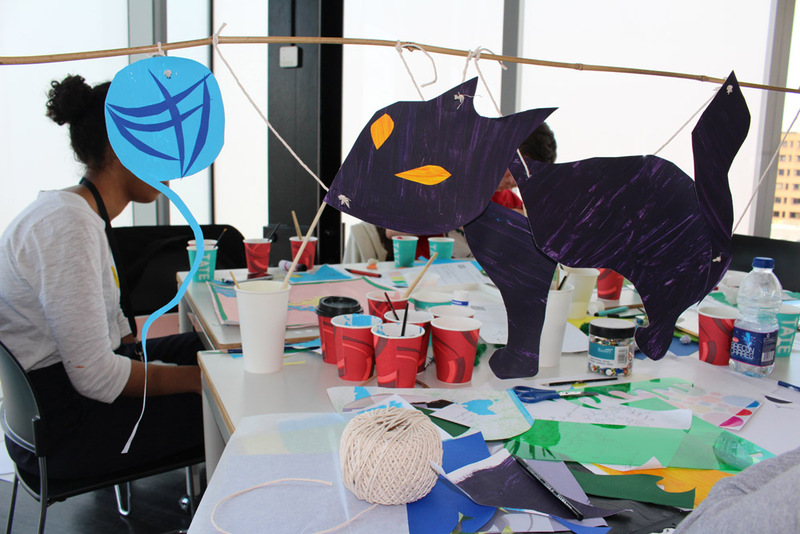 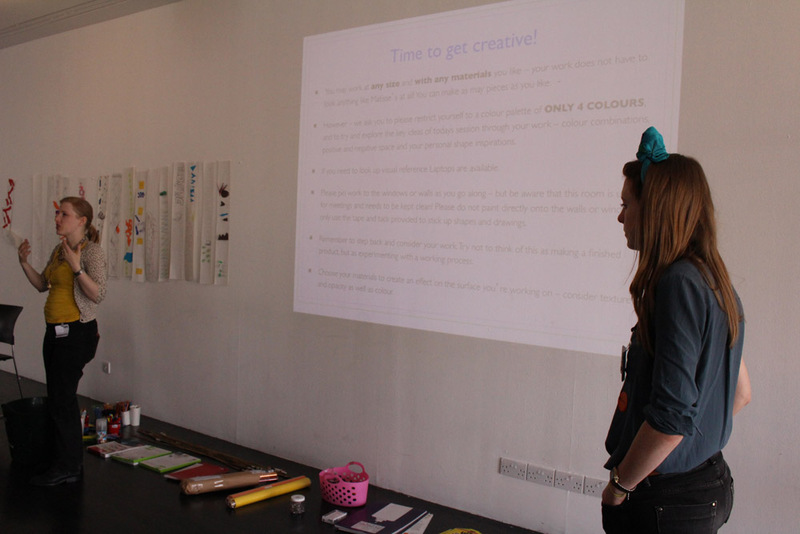 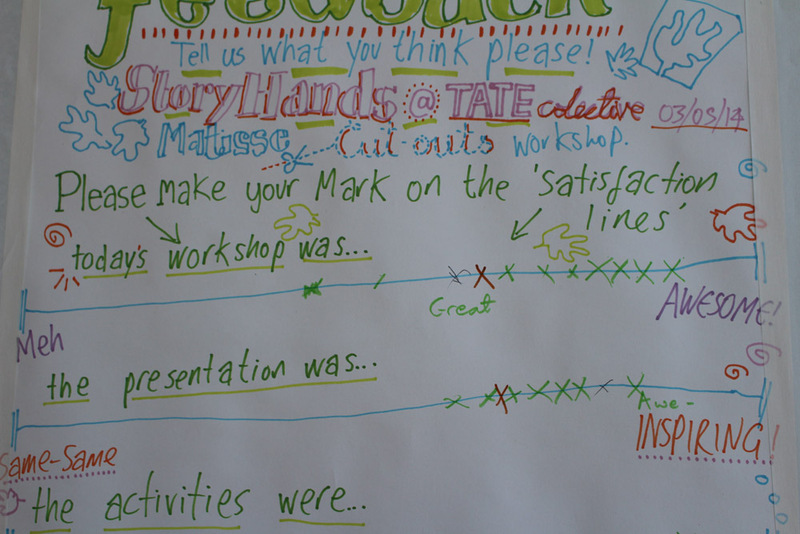 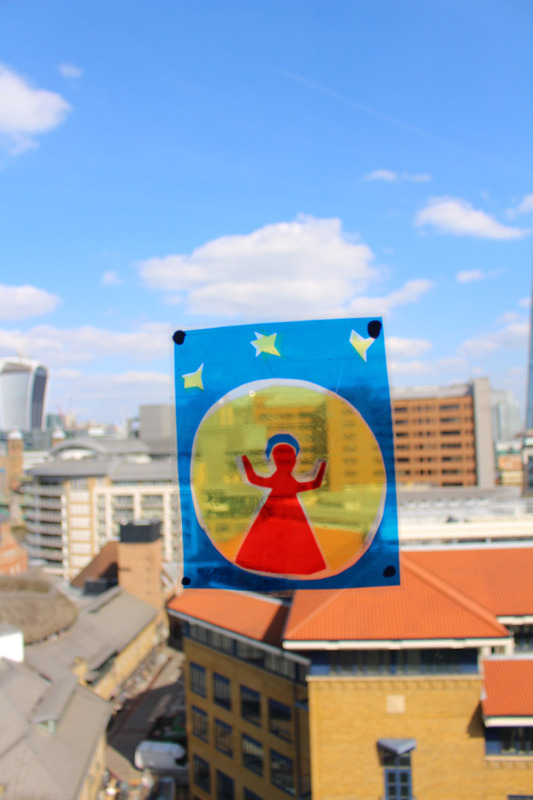 Recently Storyhands was invited by Tate Collective to run a workshop at Tate Modern in response to a current exhibition. 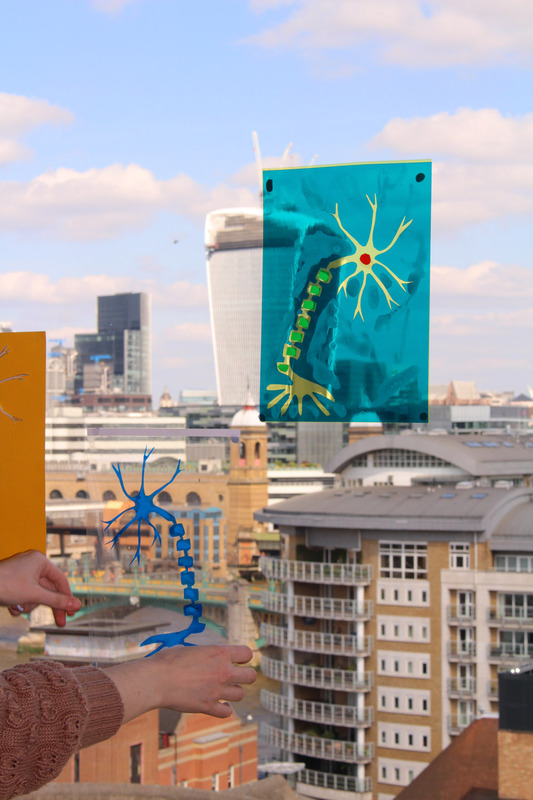 The Matisse cut-outs exhibition seemed like a perfect fit to Antonia, June and I – and you’ll see why as I continue. 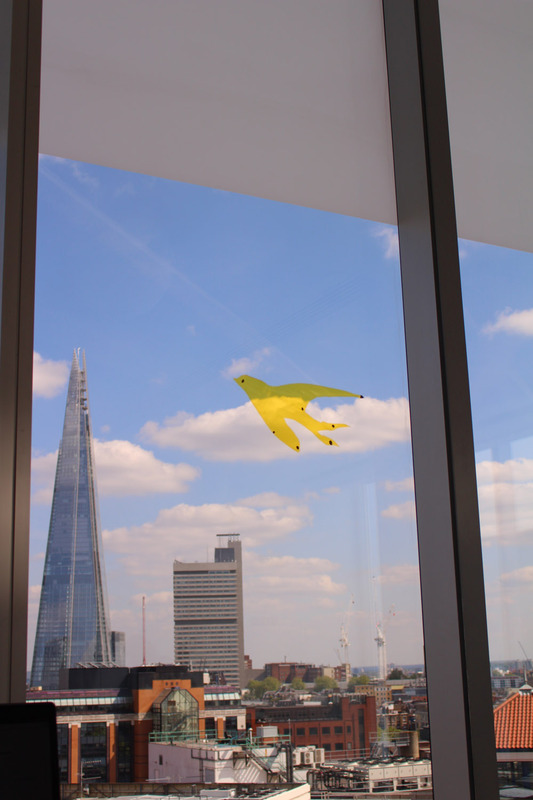 It was an honour to work at Tate and to be inspired by such a great exhibition – definitely worth checking out if you have the chance – open until the 7th September. 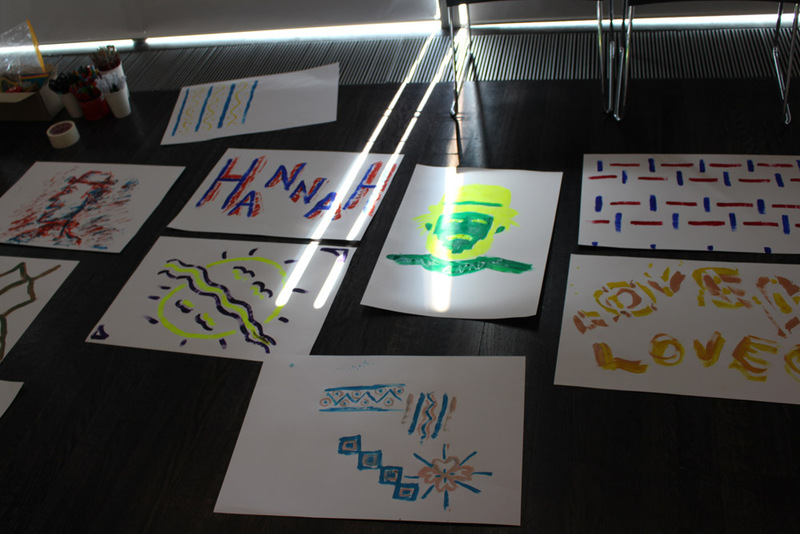 Matisse had such an epic influence in the modern art world, in large part through his use revolutionary of colour (of course a subject close to our hearts) but it is with his later paper cut works collected here, that he really found the fluidity of process that created some of his most iconic art works. 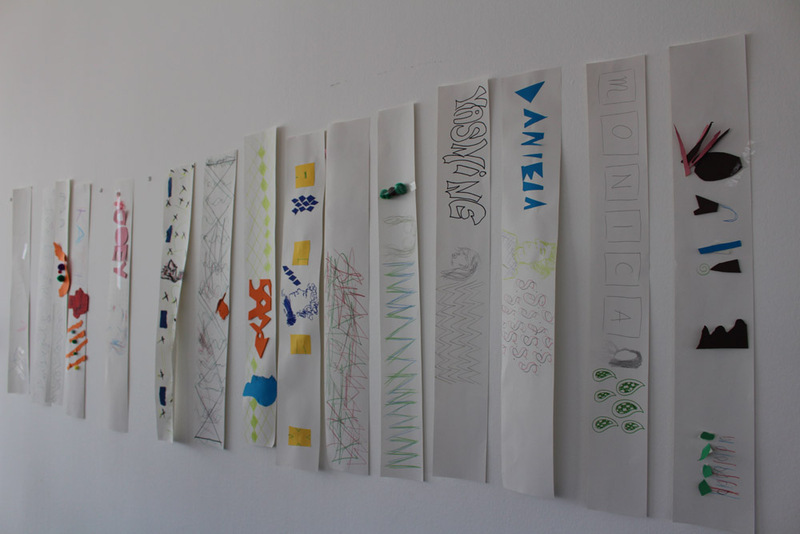 The paper works had a life of their own, they were pinned, fluttering to the walls of his studio at Villa le Rêve in Vence, Southern France and not considered finished works – each piece of paper could still be moved and changed. 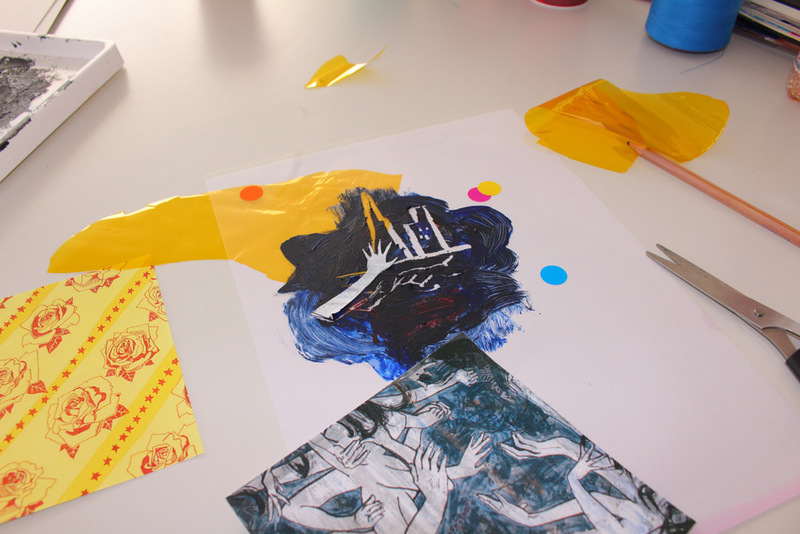 Inspired by subjects full of life – circus performers, sealife and birdlife and rippling lagoons – the paper cut works show an amazing gestural simplicity that belie the precision of composition Matisse obviously employed. 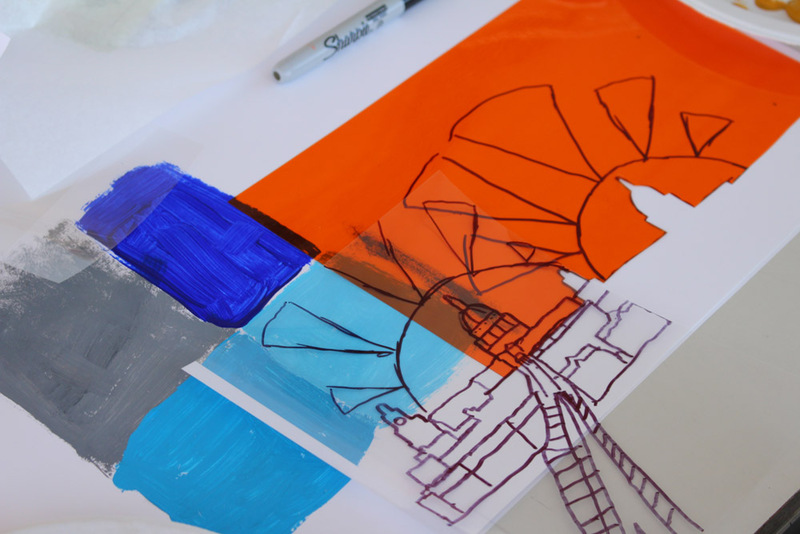 In many works you can see how he layered and added papers, changing the shapes to fit his vision. 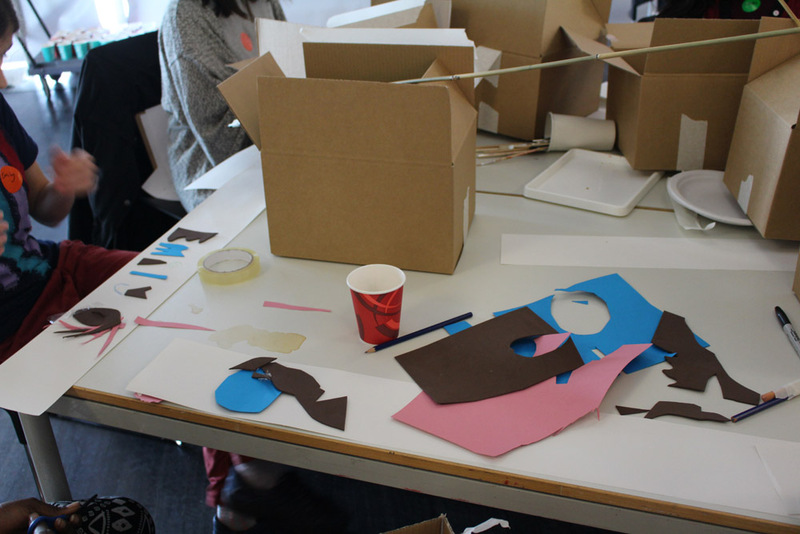 But you can also see how immediate his work must have been – I particularly enjoy parts of the Jazz series where he clearly used the leftover paper from cut out shapes – negative spaces become positive spaces! 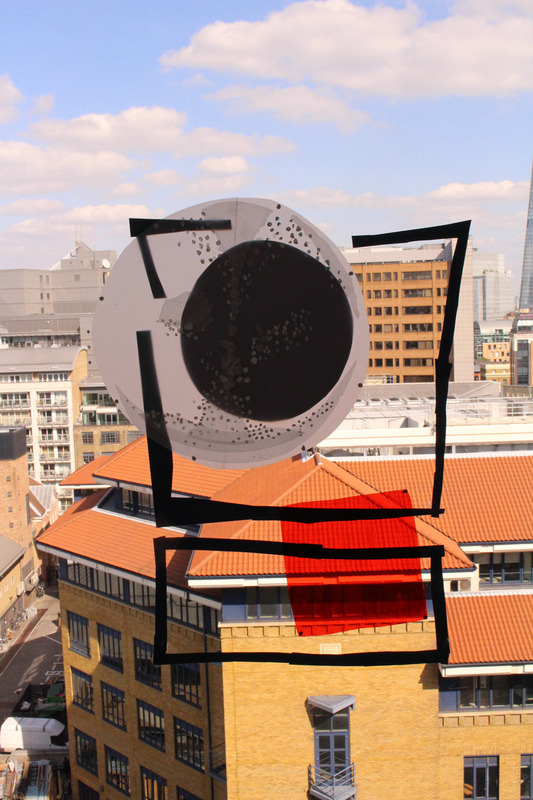 In a way it’s a little sad to see these works trapped and framed and made concrete, like a butterfly pinned in a collection – without the potential for further development and evolution. 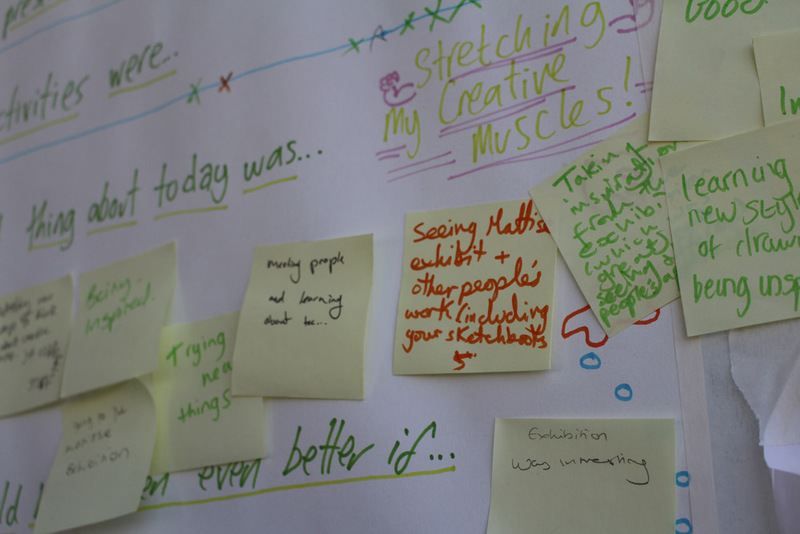 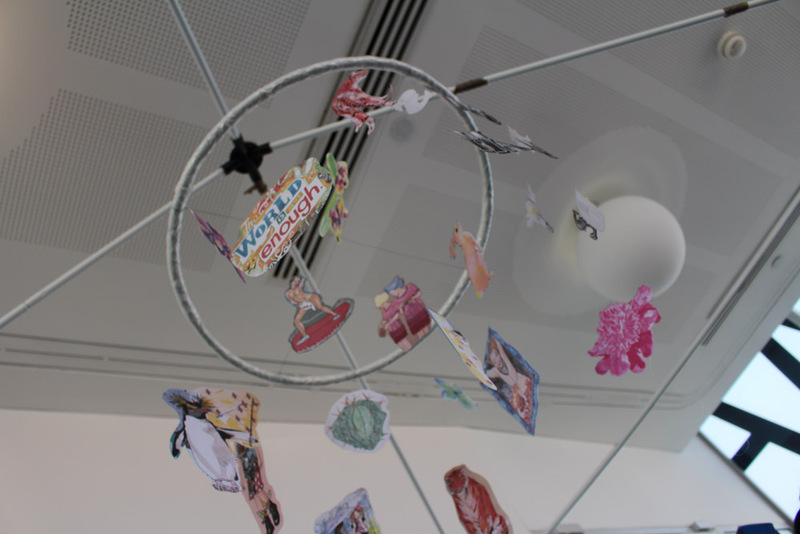 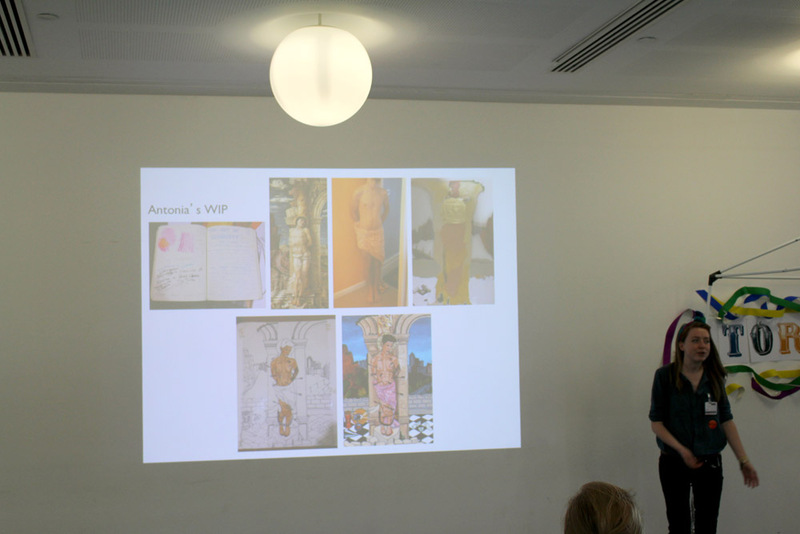 It was this evolving process that we aimed to capture in our workshop in response to the exhibition. 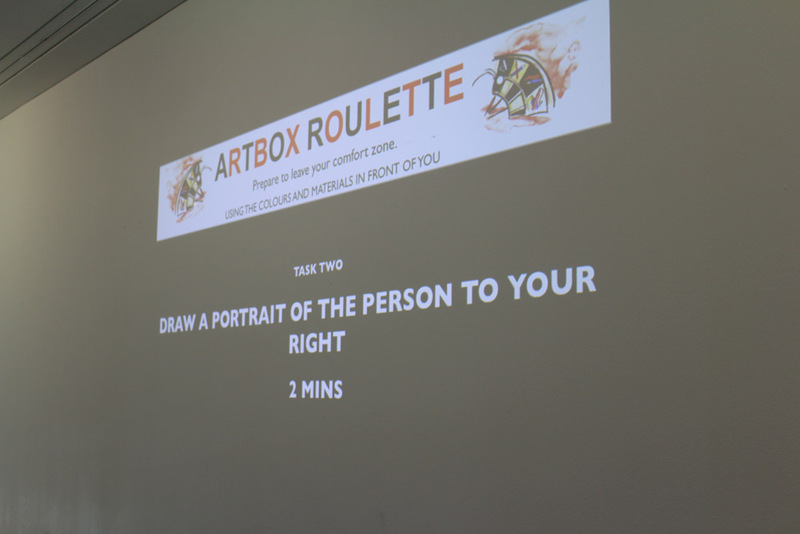 As a warm up we gave participants quick fire tasks using mystery boxes of art materials and colours – this artbox roulette quickly gave us our own Vence studio feel as we pinned the works to the walls and laid out the extended paintings that followed on the floor. 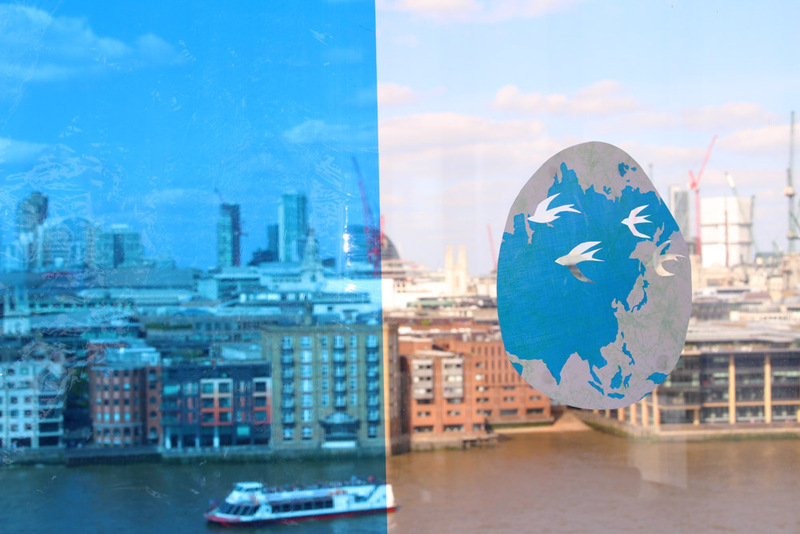 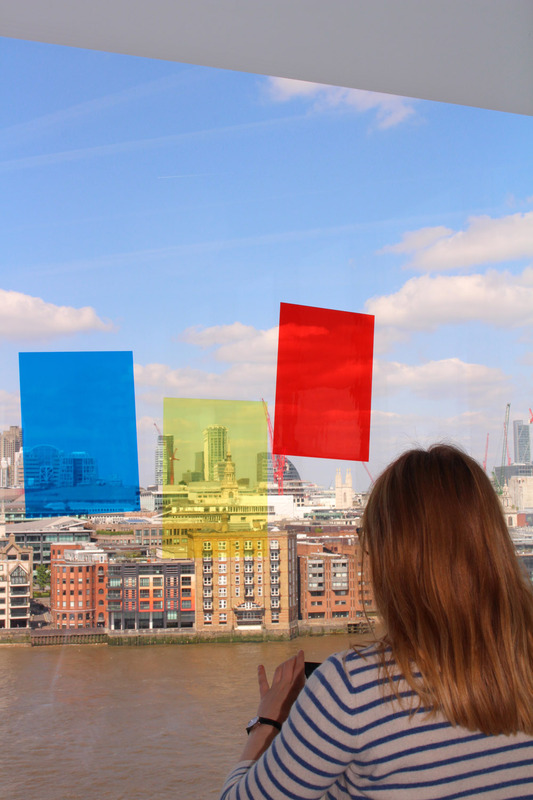 After lunch this extended onto the windows (and the magnificent view) as we gave the group more freedom to use materials such as coloured acetate. 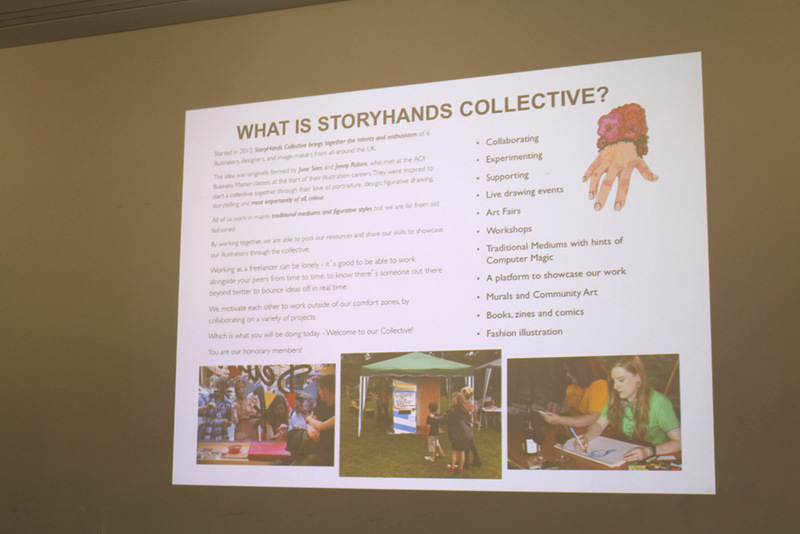 The honourary StoryHands members (we inducted them for the day) really rose to the challenge and produced a great mix of responses to the techniques and approach of Matisse and the StoryHands artists. 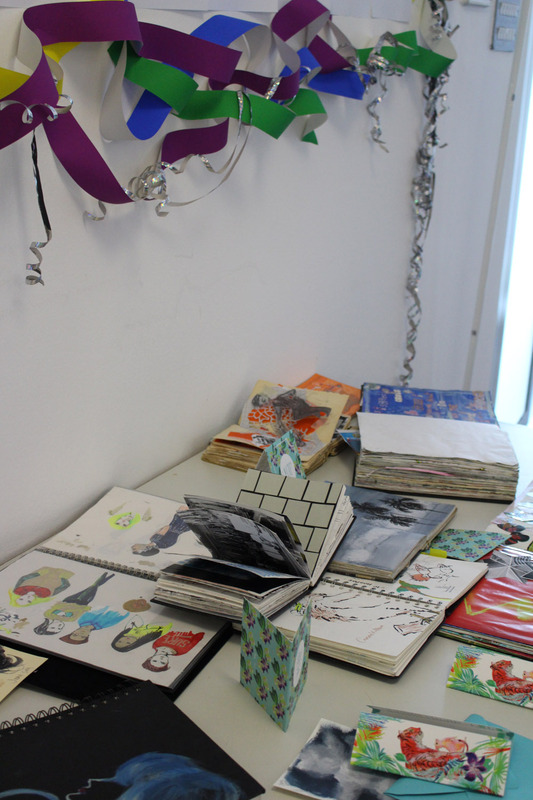 We were keen not to aim at finished artworks as the exhibition seemed very much about the importance of fluid process – something that rings very true for us. 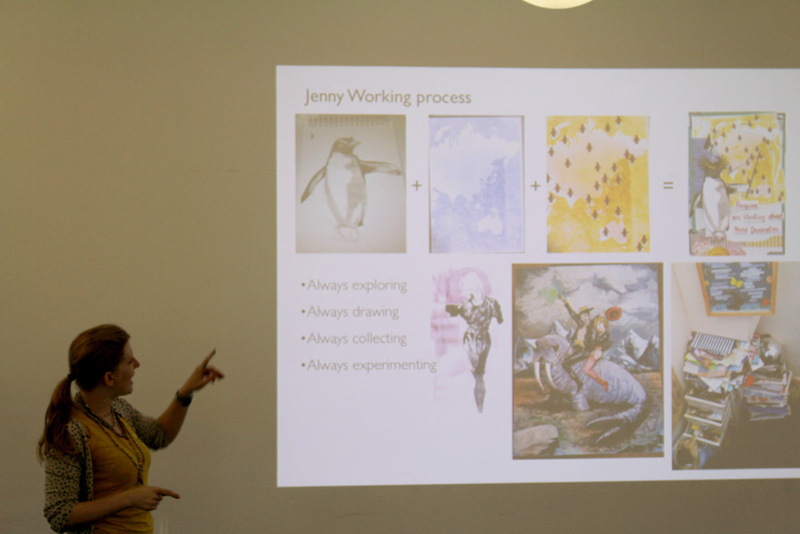 We showed examples of our own experimentation and sketchbook work and spoke about our working methods – we all love pushing our practice forward and developing our styles at StoryHands, for me this was especially relevant as I work so much with collage, but I think it’s important for all creatives to remain open to this way of working – always experimenting, always drawing, always developing. 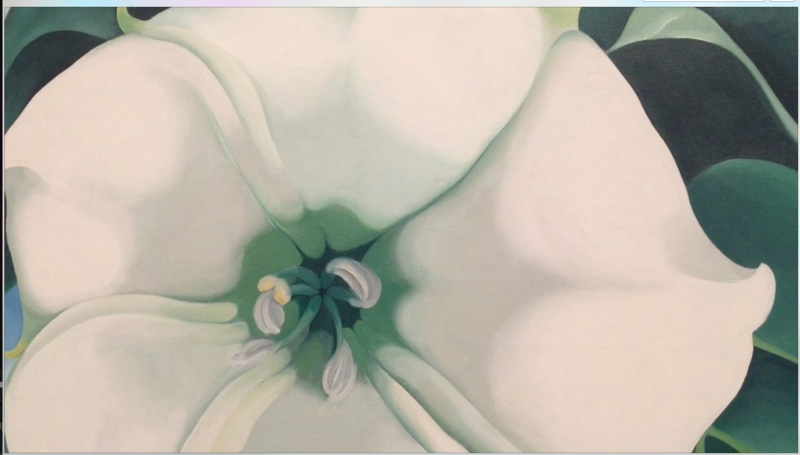 Matisse kept pushing his practice into new areas even in age and illness – but he also remained anchored to his past and influences by experiences from his past. 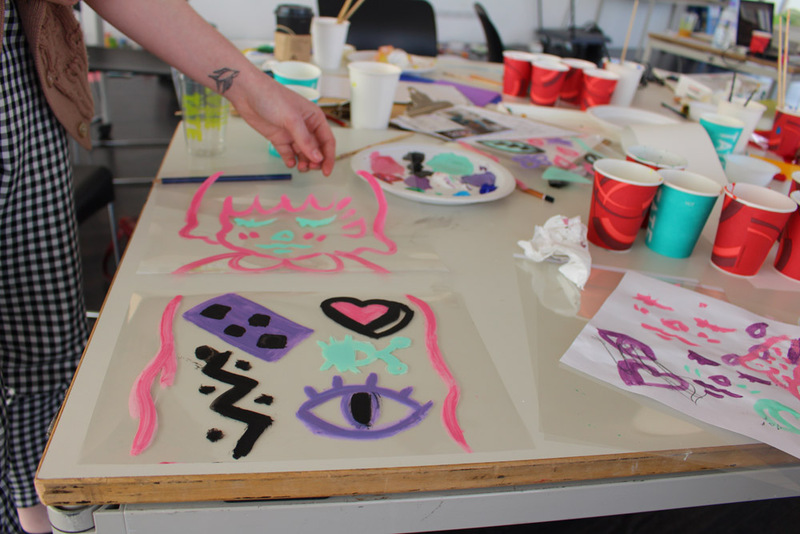 We were very proud of the great work produced at the Tate Labs Workshop this past week, and hope we helped inspire some of the next generation of creatives to keep on pushing their boundaries and creating work that brings their personal inspirations into new and exciting areas. 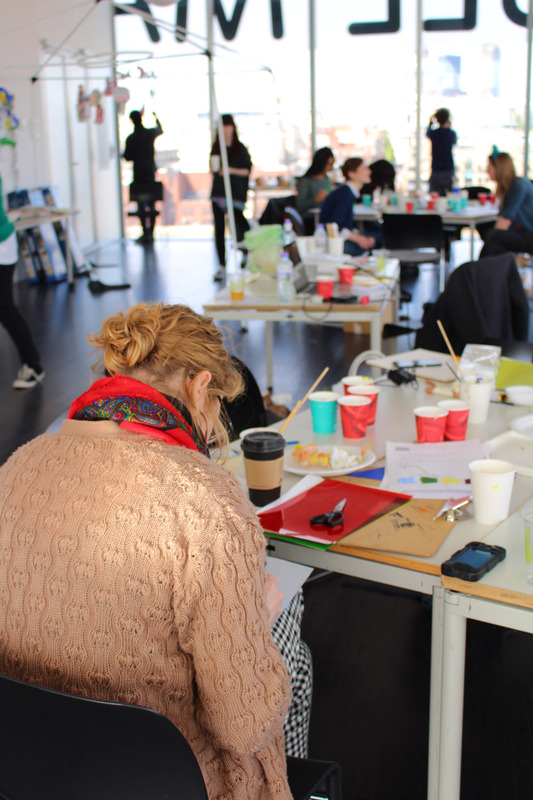 We are so glad to have had this opportunity and hope to bring you more exciting workshops in the near future – thank you to Tate for having us, to Seawhites for their generous sketchbook sponsorship and of course thank you to everyone who participated.